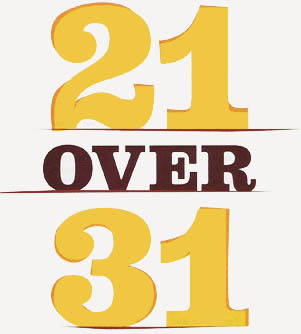 For many years, we've introduced you to talented artists who are just beginning their careers in our annual "21 Under 31" feature. But emerging artists aren't always under 31 years old, so we decided to conduct another nationwide search for artists over the age of 31. In the following pages, you'll meet the contest winners, learn what inspires them, and find out where you can see more of their work. Adding machines, lunch boxes, record players, and old suitcases are a few of Wendy Chidester's favorite things. "I love painting anything that has been replaced and forgotten." the Utah artist says. She gathers subject matter for her contemporary still lifes everywhere she can, from antique shops to city streets. She once cam across a man cleaning out an old hotel; whenhe discarded an old mimeograph machine, she scooped it up and hauled it back to her studio. 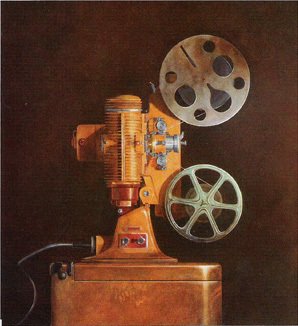 Chidester discoved the move projector that is the star of BELL & HOWELL FILMO MATER 400 at an antique shop near Palm Desert, CA. "I have so much stuff, I could open an antique stop," she jokes. Chidester has a bachelor's of fine arts from the University of Utah. She is represented by Coda Gallery, Palm Desert, CA, and Park City, UT; Williams Fine Art Gallery, Salt Lake City, UT; Giacobbe-Fritz Fine Art, Santa Fe, NM; and www.wendychidester.com.